All sample videos contained in this article are publicly sourced and are reproduced here only for accessibility. 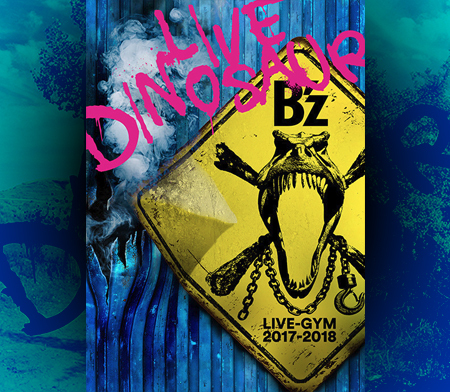 Following the immense success that was the rebooted 2006 LIVE-GYM—one that would set the tone for all B’z shows that followed—and its accompanying album, expectations were high in 2007. It was already presumed the band would have big plans for 2008 given it was their twentieth anniversary year, but what would precede it was still relatively unknown at the time. Fans speculated that the previous year’s live premiere of the English verison of “HOME” would possibly see a release in some form, but it was not there that the year began. 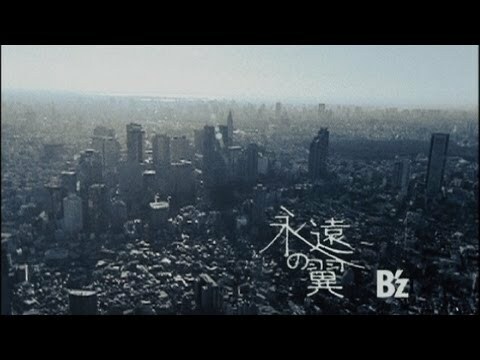 Instead, the first sighting of B’z activity was the announcement of their first international tie-in. 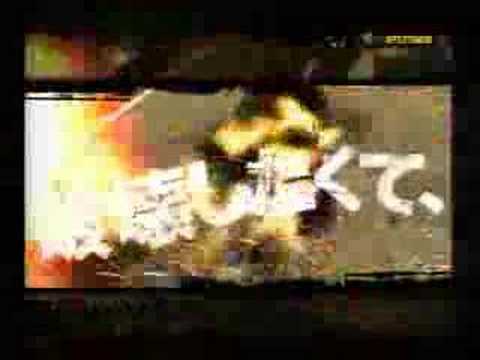 The PlayStation 2 racing video game Burnout Dominator was released worldwide in March and featured an all-new B’z song in every territory entitled “FRICTION“. The song was included as a means of promoting the game primarily in Japan, but it would later be included the next year in the sequel game Burnout Paradise that was likewise released globally. The song was also published worldwide on iTunes at the same time as part of the soundtrack. It was shortly thereafter that B’z made their proper international debut on the digital platform when the self-titled B’z EP was released to virtually every western storefront on iTunes yet was not made available in Japan. Although the release was aimed at an international audience, only two of its five tracks were in English: the aforementioned English version of “Home” and the 2005 THE CIRCLE album closer “Brighter Day“—one of their select few English songs with no Japanese exemplar. The album contained highly-desired versions of three popular B’z singles: a remix of “Ai no Bakudan“, a re-recording of “ultra soul” that most resembled its more recent rock-oriented LIVE-GYM incarnations, and an overhauled reversion of “Samayoeru Aoi Dangan” that featured an entirely new arrangement that would serve as the basis for 2012’s English edition “Into Free -Dangan-“. While this provided insight into the band’s work in the early months of 2007, it was not yet known what form the rest of the year’s releases would take. This was answered shortly thereafter with the announcement of their forty-third single: sentimental power ballad “Eien no Tsubasa“. The song was paired with B-side “Lonely Stars” and remains one of the few times in which music videos were produced for all tracks on a single, with the latter’s being a short version. In the lead-up to its release, B’z embarked on one of their busiest years with regard to television, with five appearances in the week of its release on programs such as MUSIC FIGHTER (twice—once for the title song and once for the B-side), CDTV, and Music Station. B’z also held their first interview for a news program to promote the single, with a live appearance on NEWS ZERO. “Eien no Tsubasa” was written as the theme to a World War II movie about kamikaze pilots and the families they left behind released internationally as For Those We Love. During the appearance, it was revealed that it was after visiting some of the memorial sites in the town of Chiran in Kagoshima that Tak developed an image derived from the clear and calm blue sky that inspired the melody and music. Tak would again take inspiration from that image for “hotalu” as part of his 2010 collaboration with Larry Carlton on TAKE YOUR PICK and once more in the instrumental “THE WINGS” on his 2012 solo album Strings Of My Soul. 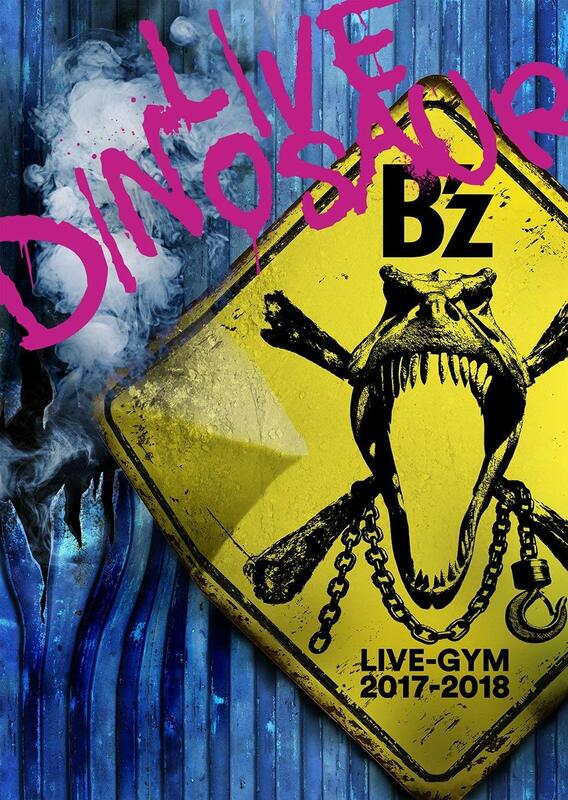 Notably, B’z would return to visit Chiran during a LIVE-GYM stop in nearby Amami Oshima for LIVE-GYM 2008 “ACTION”, which included “Eien no Tsubasa” in the setlist. 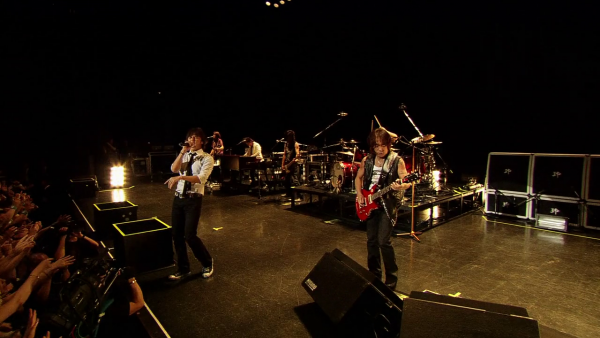 The band debuting “SUPER LOVE SONG” during B’z SHOWCASE 2007 -19-. In 1996, the band began their tradition of SHOWCASE events that typically played venues and areas that would not be included in wider LIVE-GYM tours. Here, in 2007, the band took the concept in a new direction. Beginning in June, B’z embarked on SHOWCASE 2007 -19- in which the band ran the gamut of Zepp venues in Sapporo, Sendai, Tokyo, Fukuoka, Osaka, and Nagoya. As is now common for the events, B’z played a number of gems and obscure songs for the tour, including “HOT FASHION -Ryuukoukata-” for the first time in 14 years, “ARIGATO” for the first time not on TV, “The Wild Wind“, “Naite Naite Nakiyandara“, and “Haru“, as well as “Out Of Control” and “Odekake Shimasho” for the first time since the mid-1990s. The show at Zepp Tokyo would be released on DVD in 2008 and on Blu-ray in 2009. The concept was broadened and expanded into yet another of its kind, the aptly-named B’z SHOWCASE 2007 -B’z In Your Town- which toured smaller areas of Japan throughout July and August. Further fan favorites were added on varying dates including “The Loose“, 2001 B-side “ROCK MAN“, the return of 1998 single “HOME“, the live debut of “BANZAI” B-side “Magnolia“, and even GREEN album ender “GO★FIGHT★WIN“. None of the shows were released in full, though select moments were highlighted on the 2008 “Official Bootleg”. This would also mark the first year at which B’z performed at a music festival when they were announced as one of the headline acts for SUMMER SONIC 07. The abbreviated setlist was akin to the summer’s earlier SHOWCASE tours and opened with the as-yet-unreleased “SUPER LOVE SONG” and included “FRICTION” amongst some of their live staples such as “ultra soul” and “Ai no Bakudan“. Shortly thereafter, B’z soon announced the year’s second and overall their forty-fourth single in the oft-previewed “SUPER LOVE SONG“. The third of its three tracks would be the aforementioned “FRICTION” as it appeared in Burnout Dominator. The title song was a great challenge initially and was not intended as a single. It was originally a much slower, ballad-like composition. It wasn’t until months later when they returned to Japan that they reworked the song to its eventual state. In September, it was announced that B’z would become the first Asian artists to be inducted to Hollywood’s RockWalk, joining the likes of Elvis Presley, AC/DC, Aerosmith, Queen, Jimi Hendrix, and John Lennon. Many of the band’s longtime support members were in attendance including Stevie Salas, Juan Alderete, Shane Gaalaas, and Steve Vai who ushered in the duo’s nomination. The induction was a widely-reported news item in Japanese newspapers and television. The ceremony took place on November 19, 2007 and saw the band deliver messages of gratitude in both English and Japanese. At the ceremony, B’z live footage from previous years was shown alongside samples of songs from their upcoming album which had been set for release just weeks later. B’z becoming the first Asian artists to be inducted to Hollywood’s RockWalk on November 19, 2007. 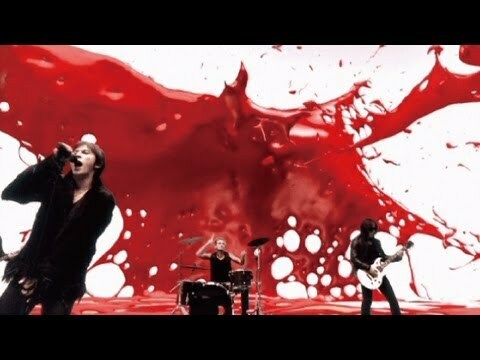 As announced, ACTION was released on December 5, 2007 and debuted at the top of the Weekly Oricon Albums chart. In an interview with JAPAN COUNTDOWN, the band described the initial difficulty of writing and recording the album. Tak stated frankly: “We had a slump unlike anything before,” while Koshi added that they made “light” the theme as they pressed on with it. One song, “Koubou“—literally “Ray of Light”—specifically emblematizes as much. Tak recounted that he started to dread going into the studio because the initial sessions were not at all amounting to what they expected. To overcome the slump, Koshi noted in the interview that they “started doing music with a different feel to it, and that went well” which led to them returning to their usual “recording rhythm”. As a result, the album contains a large number of upbeat tracks that deal with a great variance of themes and topics such as the lively “HOMETOWN BOYS’ MARCH” and the sentimental “Boku ni wa Kimi ga Iru“. The album ended with the Ending SE from the previous year’s LIVE-GYM, “BUDDY“, which had its lyrics significantly overhauled. While 2007 would prove a landmark year for B’z in many respects and no doubt also a busy one, it would merely serve as preparation for what was to come immediately thereafter. Just months later, the band would begin a tour that would canvas all of Japan and culminate in one of their most fondly-regarded shows to date to celebrate their, to that point, most pivotal anniversary.